Hoohobbers' products are recognized by independent third parties for their quality and performance. Hoohobbers has received Best Design Awards from America's Juvenile Products Association, each time selected from more than 20,000 products. Hoohobbers has also received the Parents' Choice Award, and no Hoohobbers product has ever been subject to consumer recall. Furthermore, the company's products are often featured in leading women's and children's publications. Dimensions: 12L x 10W x 10H inches. Solid and strong propylene frame. 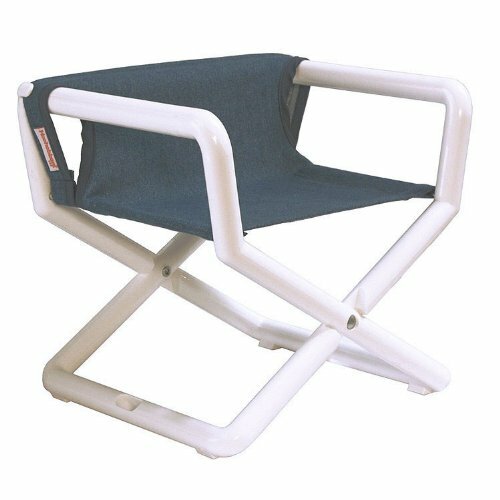 Attractive, strong canvas back rest and seat. Easily folds for transport. Fun, bright color choices. Footpads provide stability. Weight capacity is 150 lbs.. Fits kids aged 1.5 to 4 years.